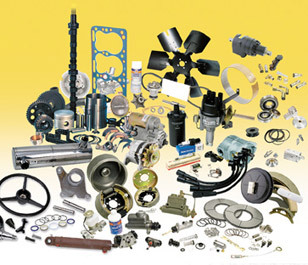 Hyster spare parts direct from the manufacturer. We guarantee the best prices in Australia on all Genuine Hyster Parts. It is important that you get the right parts at the most competitive prices, as fast as possible, no matter how large or small your fleet. Our extensive branch network stock the recommended Hyster genuine parts as well as offering a wide range of accessories and attachments. We have parts to suit most makes and models of forklift and we have fit for purpose generic parts on hand, or readily available, to suit your application and budget. Our trained parts interpreters will assist you to identify the part you need & if we don’t have it in stock we will get it promptly from one of our other branches or from distribution centres around the country & the world. Having access to these genuine Hyster parts makes our industry-leading forklift servicing even better, providing you with the right parts for your equipment, when you need it most. Talk to us today about how we can provide you with a complete fleet management and maintenance program, tailored to your business.